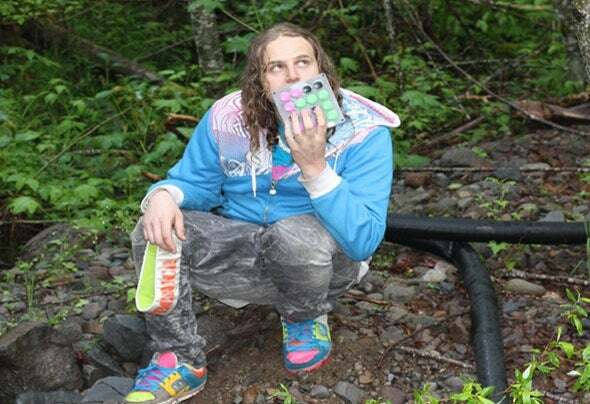 Quickly becoming known as Portland's Trip-Pop Electro Smash artist, Lightspeed has been working tirelessly to bring fresh sounds and energy to the nebula of Northwest EDM. His signature sound creates an atmosphere with synthy electro breaks on a terrestrial foundation of dark, grimy basslines. He became the father of Pulsar Productions (facebook.com/pulsarpdx) after being encouraged by his peers and fans to bring his local scene to the next level. Pulsar has since formed a kind of collective of people who fully contribute their talents to managing all facets of the company. With their help, Lightspeed is in his second season of throwing sold out dance parties for Northwest audiences.His newest collaboration with Deformaty has landed them 1 EP on Serial Sickness, and two singles on VIM Records, and another EP just released on NoisePorn. Lightspeed is always pushing himself and his music to the limits of what's possible with no end in sight. Evident in his Dj cont rol and product ion, he provides inspiring performances and unique tracks in a style that leaves audiences wanting more.